-The first few minutes are the toughest. When you first get out there, it is hard to set your pace. I often start out too fast, and then after a few minutes, realize I am going too fast too soon, and I have to force myself to slow down. Having a Garmin is useful - I have to use it from the get go! -Trying to get the perfect play list. It is a constant challenge to find music and update my shuffle mode. My kids have an influence on that too, I can't deny it. -I'm shy to try new running gear. I know what feels good, and I want to wear it over and over again, in different colors. But trying new gear can also be refreshing, and can help break monotony. My favorite is a new pair of socks - I love Feetures and we carry them at our office. -To run alone or with a group? That is the question. So for myself, I really enjoy running by myself, but the comradery is so tempting! -Do I run to train for a race? Or are there multiple races? Where do I start? Running to train for a race shows a different level of training, vs running for the sake of running. Either way, whatever the reason you run, keep running as long as you are enjoying yourself! 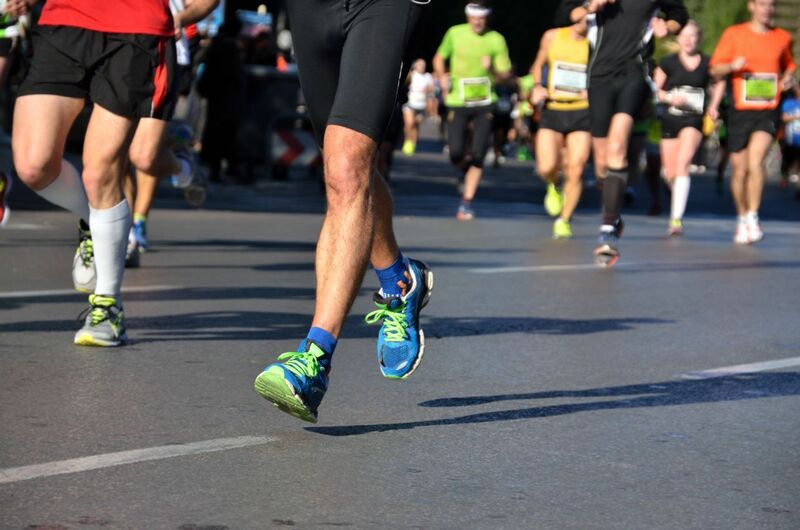 If you are a beginner runner or a seasoned runner, you need to know a good podiatrist in case an injury happens, because to us here at Prairie Path Foot and Ankle Clinic, a runner that can't run is an emergency! Call our office today.